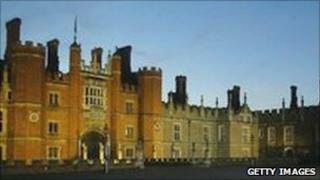 A High Court bid to block plans for a hotel and flats on a derelict site on the opposite side of the Thames from Hampton Court Palace has failed. Permission to build on the Jolly Boatman site and land surrounding Hampton Court railway station had been granted by Elmbridge council in 2009. Keith Garner, an architect, had sought to block the development and claimed it would harm the setting of the palace. Mr Justice Ouseley ruled there was nothing to justify quashing permission. He said the "greatest controversy" was over the hotel proposal because the development was closest to the Thames, but dismissed the case. Mr Garner, a former employee of Historic Royal Palaces (HRP) which looks after Hampton Court, had argued the development would urbanise parkland, and block important views. A former consultant to HRP from 1994 to 2004, Mr Garner was involved in the charity's attempts to prevent the development. When he launched his campaign, he said: "Like HRP, I believe that areas of the sites surplus to railway requirements should be acquired in the public interest and landscaped. "I have [taken legal action] because HRP hasn't. Somebody has to." The development by Gladedale Group Ltd and Network Rail includes a refurbished railway station, 66 new homes, retail and commercial units, a 46-bedroom hotel and a care home. Elmbridge council approved the plans after noting that English Heritage had given a "satisfactory response" and the Commission for Architecture and the Built Environment had given an "enthusiastic response", even though the proposals had attracted "strong objection". The commission suggested the proposals would regenerate one of Britain's "worst wasted spaces".